Amenities that support an active adult lifestyle are plentiful in Heritage Shores. Opened in 2004, Heritage Shores is a beautiful active adult community which currently offers both new construction and resale homes. The development enjoys a fabulous location in Southern Delaware which is only 30 minutes from Rehoboth Beach and 90 minutes from the Chesapeake Bay. As one of the largest active adult communities in Delaware, Heritage Shores offers all the amenities to support resort-style living. Heritage Shores opened in 2004 with plans for 1,816 homes in both attached and single-family designs. These low-maintenance, energy-efficient homes have been offered by multiple builders. Currently, new construction and resale homes are available from both Providence of Brookfield Residential and Ryan Homes. There are also resale homes which were built by Lennar Homes. Providence of Brookfield's single-family homes range in size from 1,297 to 2,807 square feet. They typically include two or three bedrooms, two to three-and-a-half bathrooms, and either an attached one-car or two-car garage. Ryan Home's floor plans are similarly sized from 1,406 to 2,152 square feet. They feature two to four bedrooms, two to three-and-a-half bathrooms, and two-car garages. Homebuyers who are interested in resale homes also have the option of choosing from available resale homes built by Ryan Homes. These include both attached duplexes and detached single-family homes. Several models were offered with most floor plans ranging from 2,000 to 3,000 square feet. 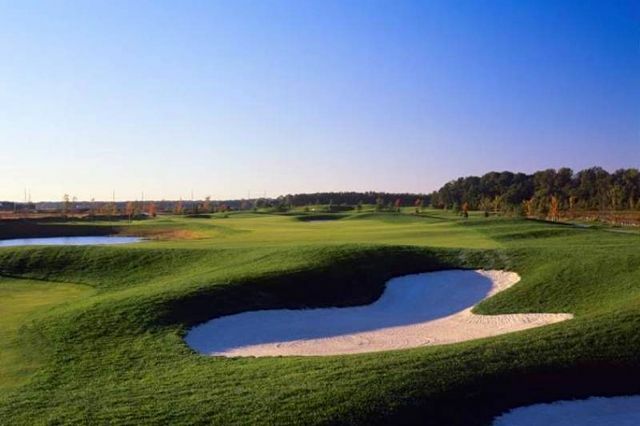 Residents can enjoy a challenging game at the 18-hole championship golf course, designed by Arthur Hills. Amenities at Heritage Shores are spread across two facilities: the Heritage Shores Club and the Fitness & Aquatic Center. Social and recreational amenities are largely centered around the Heritage Shores Club. This 28,000 square-foot facility offers plenty of space for social gatherings and group activities. Highlights of the clubhouse amenities include a Grand Ballroom with a dance floor and stage, hobby and game rooms, an arts and crafts studio, a woodworking shop and on-site dining. Outdoors, the Heritage Shores Club is home to an 18-hole golf course designed by Arthur Hills, a driving range and three putting greens. The grounds also feature walking and biking trails, scenic lakes and ponds, and a picturesque gazebo. At the Fitness & Aquatic Center, residents will find all the amenities they need to stay in shape. The facility includes a state-of-the-art fitness center with cardiovascular and strength-training equipment, locker rooms, and an aerobics and dance studio. Those who love to swim can make use of the indoor and outdoor pools or relax in the whirlpool spa. There are also four tennis courts and a spacious patio. 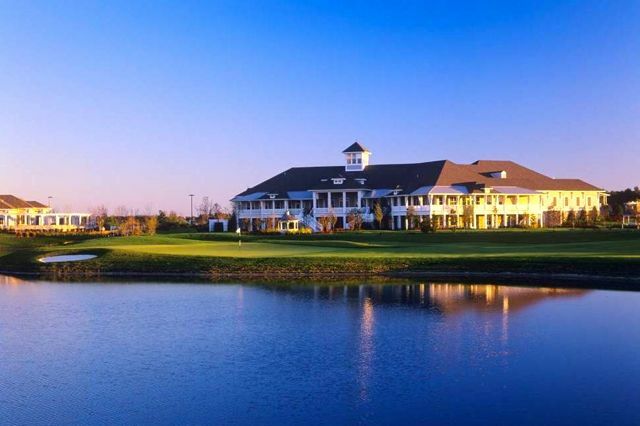 For active adults in Southern Delaware, Heritage Shores offer appealing homes, resort-style amenities and a prime location near shopping, dining and local attractions.